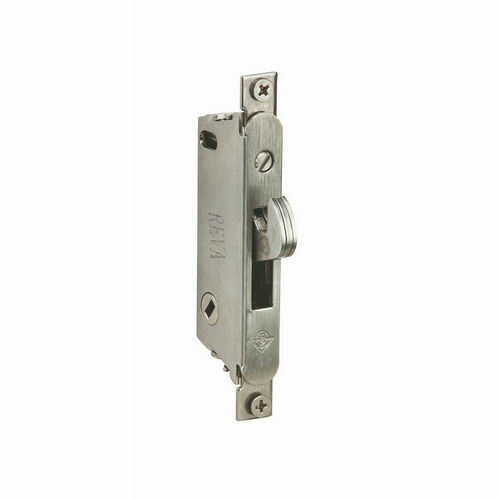 The 1830 Bottom Rail Deadlock provides bottom rail locking in ultra-narrow stile or tempered glass doors. Tamper-proof with an armored faceplate, it protects with a minimum threshold strike opening. 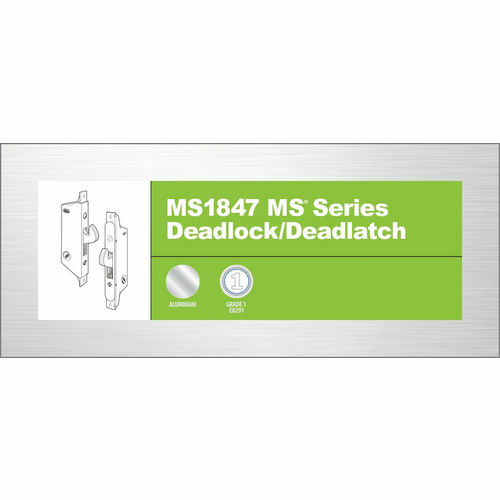 for bottom rail locking of ultra-narrow stile or tempered glass doors whose bottom rail (shoe) is too shallow for the MS1861 Bottom Rail Deadbolt. Mechanism is that of the MS1850 Deadlock, but with the bolt size reduced. This keeps the threshold strike opening to a practical minimum, avoiding collection of debris or snagging on high-heeled shoes. Armor faceplate protects cylinder setscrews from tampering and keeps them from loosening. Not applicable to wood doors. 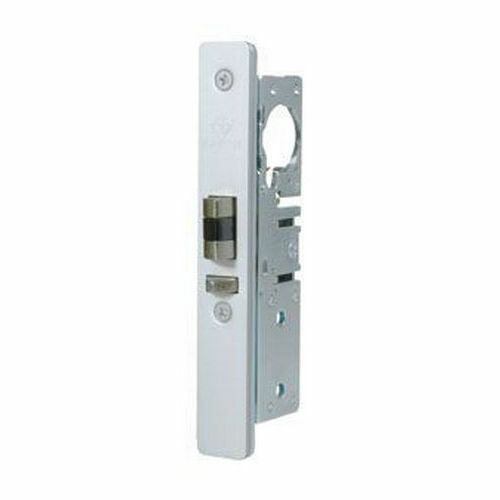 Dimensions: Cylinder Height (Backset): 31/32” and 1-1/8” only. 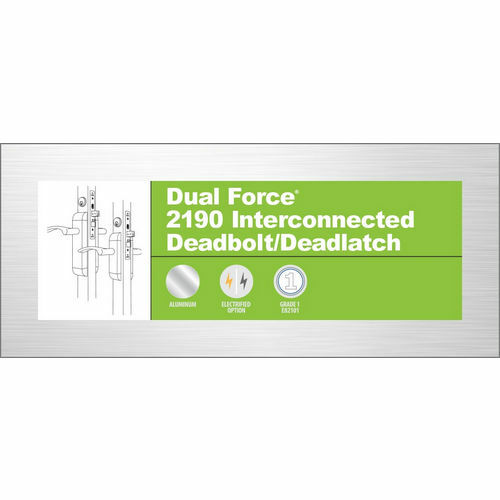 Bolt: 15/32” x 5/8” x 2-1/8” with 5/8” throw. Six-ply laminated steel with eight plys within case. Center ply has Alumina-Ceramic core to deter hacksaw attack. Compatible Products: 4006 strike available separately.